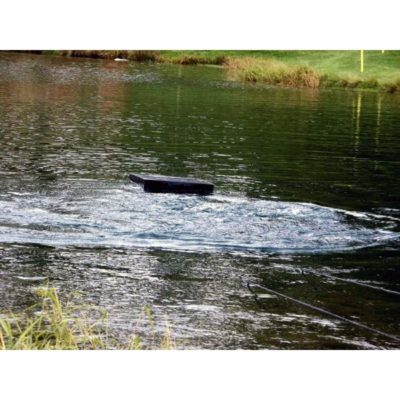 The Thermo-Pond Perfect Climate 750 Watt Pond De-Icer / Pond Heater is designed to keep a small area of open water in winter ponds. 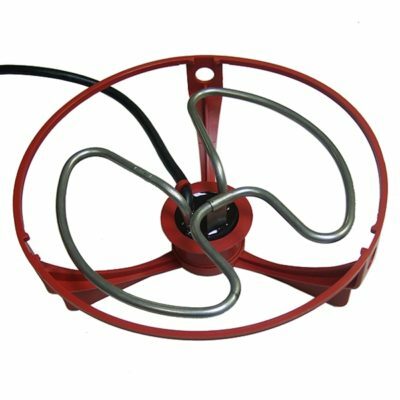 The Thermo-Pond Perfect Climate 750 Watt Pond De-Icer is the first pond de-icer designed with all ponds in mind, both small and large. 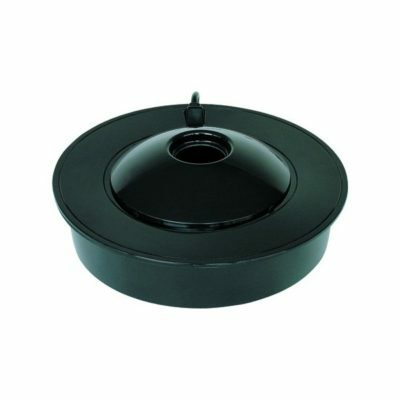 Protect your fish from toxic gas buildup under the surface of your frozen pond with this floating pond de-icer. 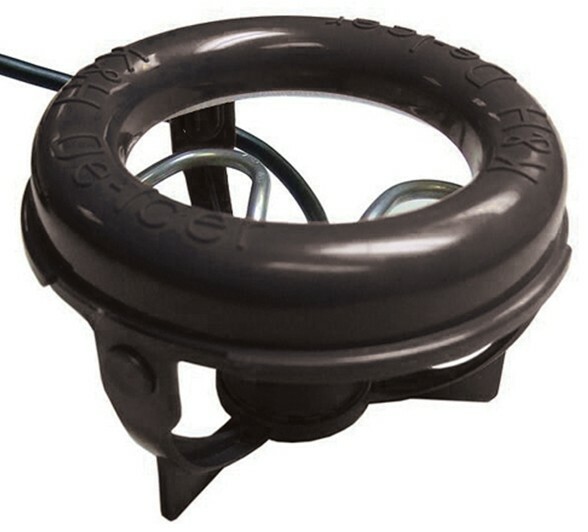 The Thermo-Pond Perfect Climate 750 Watt Pond De-Icer is designed to keep a small area of open water in winter ponds. 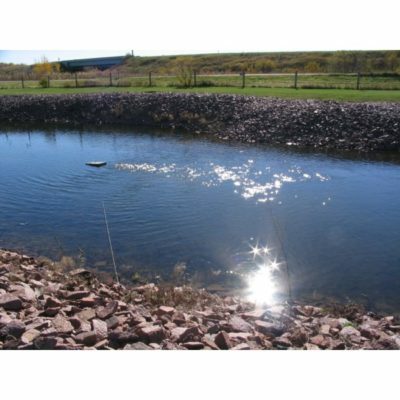 The electric pond de-icer is thermostatically controlled and all heating elements are enclosed so they will not harm or burn your pond liner. 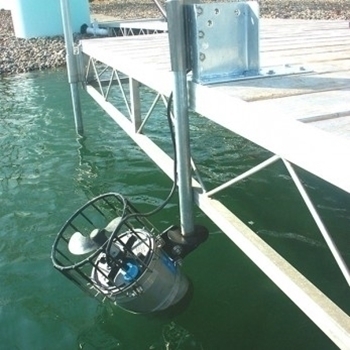 The Thermo-Pond Perfect Climate 750 Watt Pond De-Icer has a detachable float that will keep the de-icer on the surface of the water. This will help protect your fish from toxic gas buildup by maintaining a hole in the surface ice for proper gas exchange. Which Thermo-Pond Perfect Climate Pond De-Icer should you use? You can save money and energy by buying a de-icer suited to your local climate. All you need to know is your temperature zone and how many gallons your pond holds. The Thermo-Pond Perfect Climate 750 Watt Pond De-Icer must be plugged in to a properly grounded and GFCI (Ground Fault Circuit Interrupter) protected 120 Volt outlet ! 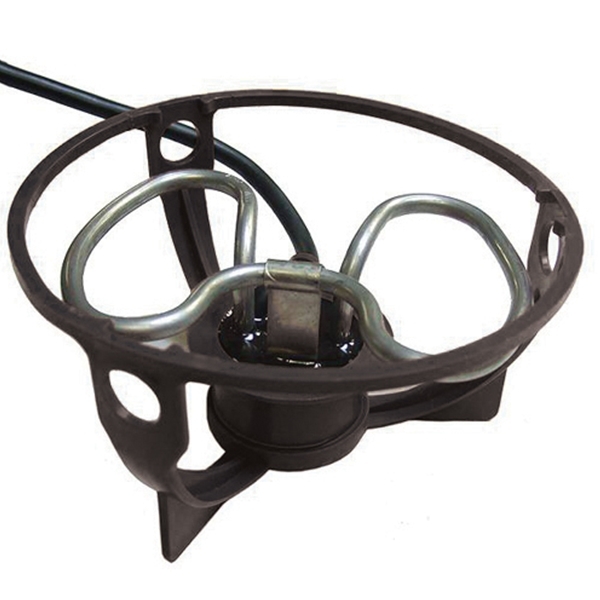 Share the post "Thermo-Pond Perfect Climate 750 Watt Pond De-Icer / Pond Heater"